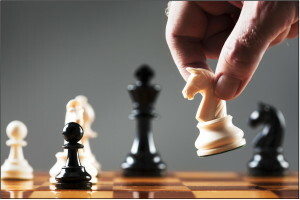 There are many games that require tactics and good strategy, but chess provides wonderful opportunities in this field! The game is believed to have originated in India some time before the 7th century. By the late 15th century the pieces had settled on their modern moves, but it wasn’t until the 19th century that the rules of play were standardised. The first generally recognised World Chess Champion, Wilhelm Steinitz, claimed his title in 1886. When I was in primary school, I had permission to walk to the high school after lessons and play in the high school chess club. I played so many games in those days that I became rather ‘chessed-out,’ but I still like the challenge of solving the mate in two moves kind of puzzle. Thomas Rayner Dawson (1889–1951) was probably the most important composer of fairy chess problems in the first half of the 20th century. He devised this problem in 1911 and it is quite well-known in chess circles. White is to checkmate black in 21 moves. 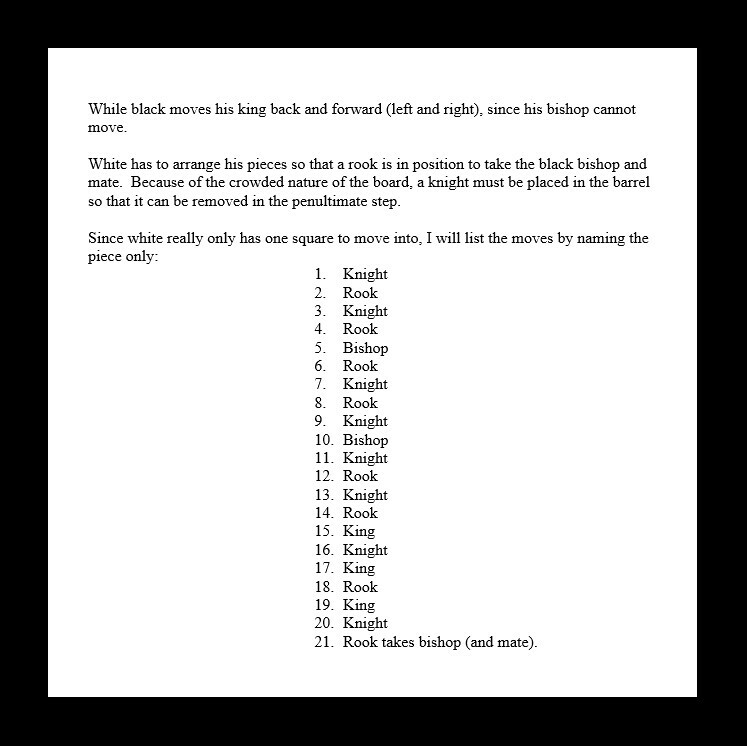 To create your strategy, think about which piece is likely to deal with the bishop and attack the black king. Think also about what piece(s) might move to release this other piece to do its job. It is quite a mischievous problem!